Best module built - period. Hands down one of the best skins I've used. I had no idea I could accomplish this much in my web development career. I went from a designer to a developer in a short period of time. Now I'm programming custom solutions for XMod Pro. XMod Pro was like a silent tutor. The methodology behind the module coincides with real programming and I didn't even know it. This is our #1 development resource. There is nothing we can't build. If I could cook with this module, I'd marry it. On a serious note, I'm so impressed with XMod Pro that every purchase deserves a 5 star review. My days of searching for that right module are over... now I just build it. 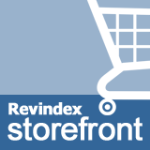 Revindex Storefront 14 - ECommerce Shopping Cart Store by Revindex Inc.
Well, this is my second purchase of Revindex and guess what? FLAWLESS! I've used just about every store module available at some point or another and I practically have to call in the entire IT department to be ready to repair the damage. Not anymore.. Thanks Revindex. Please DO NOT STOP developing. Your software is bullet proof! The flexibility of this module, although initially intimidating, is amazing! Once you get past a short learning curve the advanced flexibility is a must! Thank you so much for providing such an awesome module collection! By far the best calendar module on DNN - hands down. The mandeeps collection has become an incredible asset to my company. We utilize it within every website we create for our clients. Their support and responsiveness is never disappointing. Mandeep, thank you for providing us such a valuable resource.. This module collection is absolutely 100% fantastic! I'm having a serious problem with this skin and how it interacts with the rad editor. I would give this 5 stars if the developer would just answer the support ticket. I've bumped it a few times and have waited almost a month with no response. DNN Corp has investigated and are inquiring about help from the skin developer as well. Please support this awesome skin.. It could be a simple issue that's holding me up. I've switched to standard DNN skin and the problem vanished. I really really really want to use Morpheus. I purchased XMP several years ago and never got the chance to use it. After a recent conversation with DNNDEV I decided to give it a try. I've spent the last several months chastising myself for not taking advantage of it sooner. I can practically build anything with this technology. Their support is friendly and personable. I've hired their team for custom development as well. There's no doubt that I'll save a ton of money in the future. XMod Pro has relieved me of the "module purchase search and demand" in the world of dotnetnuke. Thank you dnndev! Not only is Mandeep's collection a prime necessity in 100% of any web development my company performs, but their support is just as impressive. Rock solid modules that operate without flaw. This company has found the balance between operating a larger organization with vast popularity, and communicating effectively with their customer. Every product in this collection is top notch - period. I'll be purchasing the Enterprise, as their module collection has become an integral part of practically all of my development projects. Thank you Chad. Not only is this module collection perfect (out-of-the-box) but the support is amazing. I have spent thousands of dollars on snowcovered, and Andy has by far been my favorite developer to work with. You will NOT be disappointed. The DNNInfo Classifieds is so versatile, flexible, and extremely advanced, yet remains intuitive and easy to understand. I don't think I've ever experienced support such as this. As soon as people realizes how awesome this module is, I hope Tom can handle the response. I've used many complicated form modules... Dynamic Forms as an example. Dynamic forms is extremely robust in features, but also very complex. The learning curve for SSF Forms was very short, and I can tell you that I easily adapted to the interface and I've pretty much fallen in love with this module. The layout is fantastic.. the functionality is fantastic.. the support is fantastic.. and Tom will probably blacklist me if I don't stop emailing him about my ideas and enhancements. VERY IMPRESSED. Watching this developer very closely. This worked extremely well.. just wish it went a little faster. Joshua is on top of his support. This company is obviously raising the standard. The email response and general support has been fantastic. Support was not related to non-functional software either.. it was enhancement questions and registration key requests. Everything from DNNGo has been great thus far. Thanks for loving this module, we're delighted to hear that.It's our pleasure to give you prompt support. If you have any suggestion for this module, feel free to tell us. We're willing to add new features and enhance this module. This absolutely worked flawlessly. I was shocked.. I'm used to module's that deal with sensitive data screwing things up.. This one works.. Great job. Excellent skin and support. I had some initial questions and they were answered within hours.. not days!